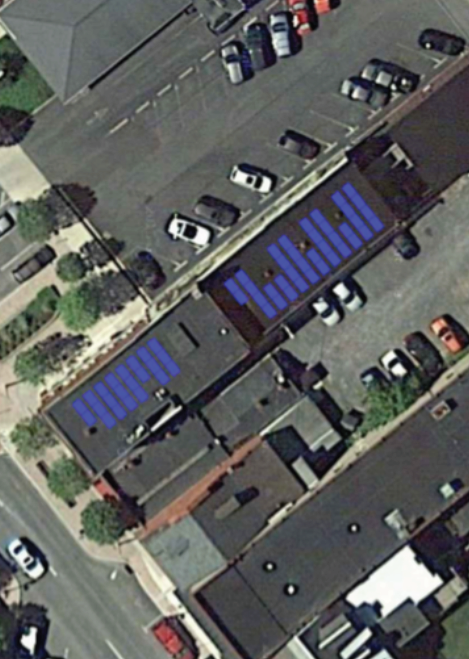 Solar Project - "On the Corner -- On the Square"
MAB Holdings LLC is planning to install a 28.8 kw solar energy system at 13 East Market Street in Lewistown, Pennsylvania. This project may be partially funded by a USDA grant. Section 106 of the National Historic Preservation Act (NHPA) requires Federal agencies, including the USDA, to consider the effects of Federally funded projects on historic properties or areas, and to allow the Advisory Council on Historic Preservation (ACHP), local stakeholders and the public an opportunity to comment on such projects prior to the expenditure of any Federal funds. To provide the public and local stakeholders with an opportunity to comment on the project, the Borough of Lewistown will include this project in their agenda for their public meeting scheduled for September 11, 2017 at 5:00 pm. The public is welcome to attend the meeting to comment or complete the form below. 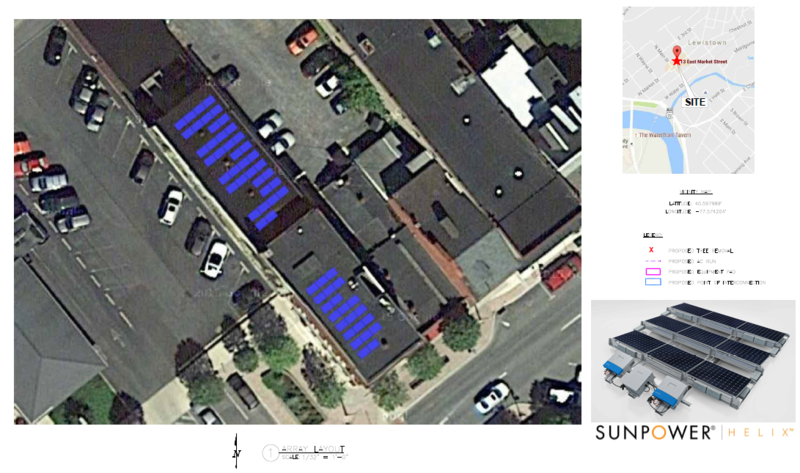 This solar project will be designed for installation on the roof of 13 East Market Street. The solar panels will not be mounted higher than the existing parapet wall of the building. Mounting equipment for the panels will lay flat on the roof. The panels themselves are going to be at a 10º angle to the flat roof surface. They only rise a few inches off the roof. The panels will have anti-reflective coating on them and do not produce glare. The panels should not be visible from the Monument Square area. Name, phone number and email are NOT required.